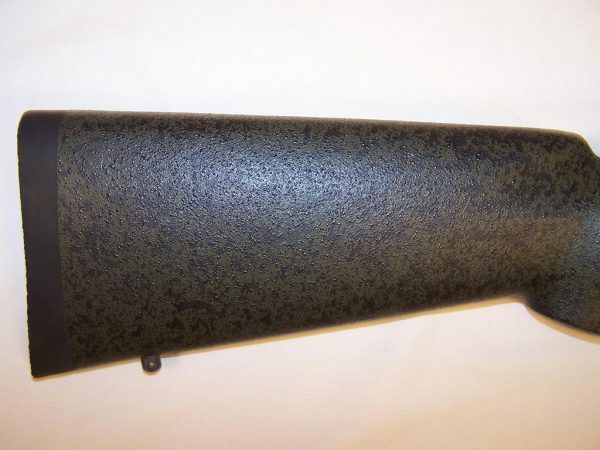 Due to the parameters surrounding this rifle, it is a 1 1/2″ MOA rifle, we’re currently testing new powders, with load and projectile combinations trying to attain the best groups. The 750 grn Hornady AMAX and 633 grn military ball projectiles have been our main focus, and most all testing has been in the subsonic area of velocity. We’ve fojund that slow speed and substantial recoil have a tremendous affect on accuracy. Can we make one for you? 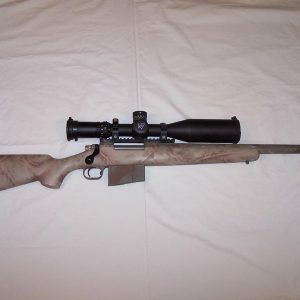 The photos show our Proof of Concept rifle. It is a blueprinted Rem. 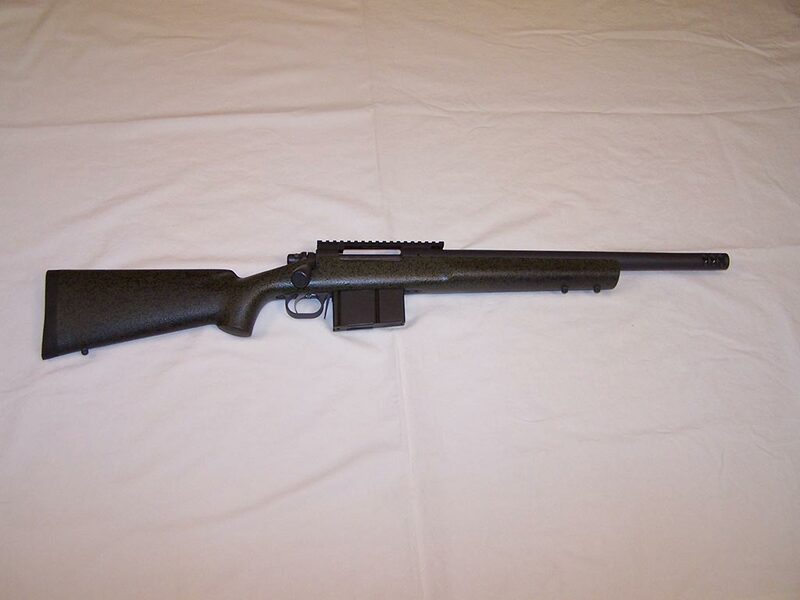 M-700 action with tactical handle, 1-6″ twist PacNor SS barrel with Wyatt’s Outdoor gill style break finished at 18 1/4″. HS Precision PST tactical stock in Olive Drab with black specs. 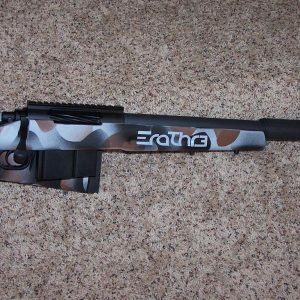 Action and barrel are Cerakoted in Sniper Grey. Jewell trigger and Wyatt’s Outdoor 5 round detachable magazine system. 20 min. Pic Rail and chambered for the 500 Freight Train. The 500 Freight Train is a caliber that was designed by Kevin Wyatt. Through the last two years I’ve designed and tested this caliber for subsonic and supersonic application. Originally designed as a special operations cartridge, we’ve now opened up sales to the civilian market. It’s a straight walled case based off the Ultra Mag case shortened to 2.000″. This allows us to headspace off the front of the case rather than a small shoulder as on some other variants of the subsonic .50 market. 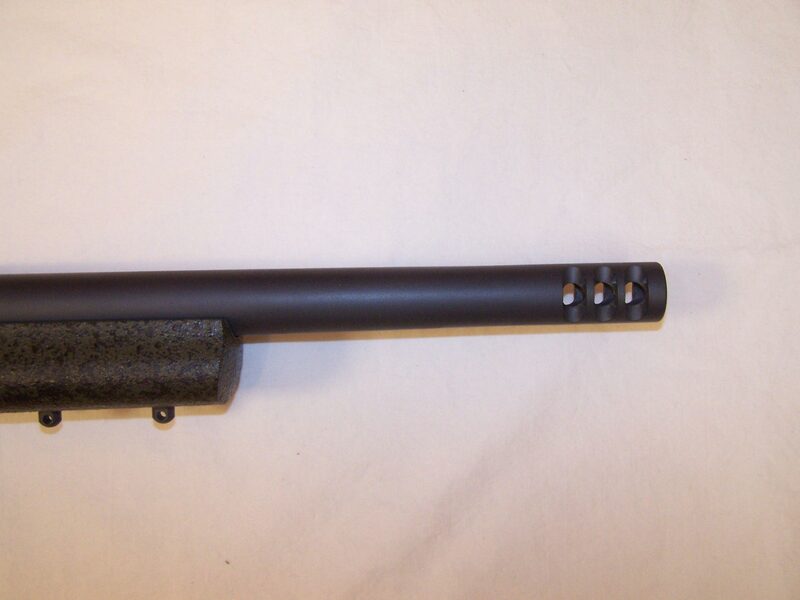 Using the Ultra case also allows for us to build on the standard magnum receiver and bolt. All testing thus far has been with the 647 grn military ball or the 750 grn. 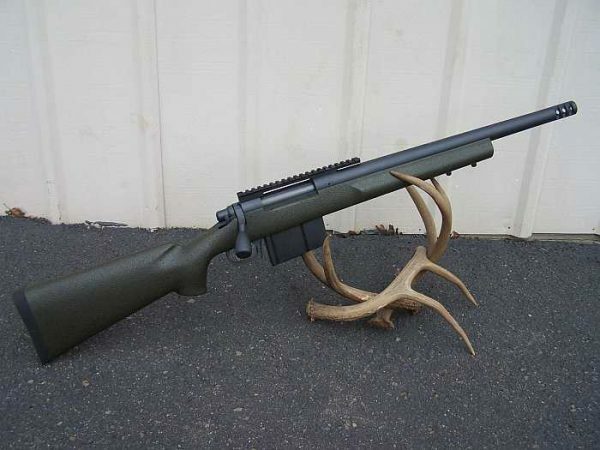 Hornady AMAX. Subsonic loads run 1080 – 1100 fps., while supersonic loads hover around the 1500 fps. mark using the 750 grn. projectile and a 16 1/4″ barrel. The picture shows a .50BMG, 500 Freight Train, and the 300 Blackout. This is your 300 Blackout on steroids! We consistently ring a 15″ gong at 500 yds. with the subsonic loads. 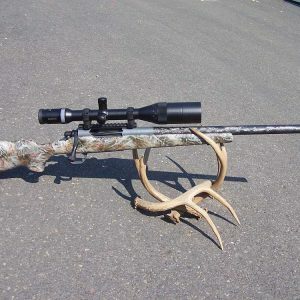 Rifles are ready for your optics and ready to hunt. Went on a pig hunt in S. Georgia hunting with Dalton Wammock of McWhorter Rifles. I was there to test the penetration capabilities of our 500 F.T. Our hunt area had been recently ravaged by a tornado the week before, but we still managed to find a couple of hogs and a water moccasin. Test results were as predicted. I was able to align two hogs at 185 yds. 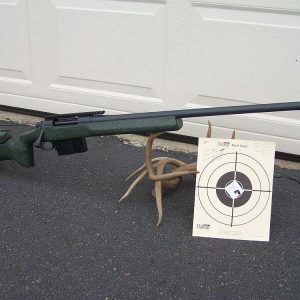 Leaving the muzzle at 1100 fps, the 750 grn. 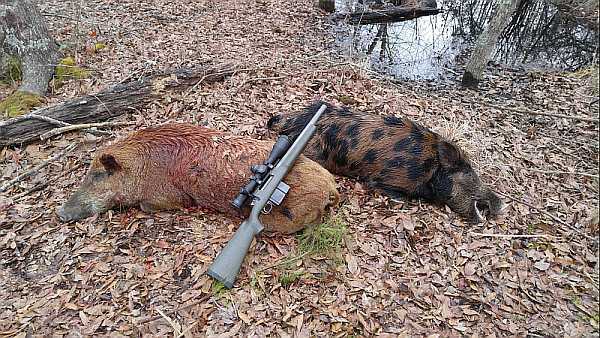 Hornady AMAX penetrated both hogs with a pass through on both with no indication of bullet fragments left. The 500 Freight Train performed admirably. Dalton performed as well, perforating the water moccasin with a 9mm to the head.